Is buying websites on Flippa profitable? Here I will explain how to find good sites, avoid scams, negotiate good deal, transfer the site, and properly monetize, to recoup your investment in shortest time possible, and earn passive income OR sell the site for profit! DISCLAIMER: Investing in websites is very risky! While I and many other investors do make profits from buying/selling sites on Flippa, this guide IS NOT an investment advise! If you invest, you assume all the risks, and I’m not responsible for any potential losses! Now the good stuff: Investing in websites can be profitable if done right! I personally made $40000 net profit on my overall portfolio, and still hold most of the assets which can be realistically sold for at least $70-100K. While this guide is mostly about BUYING, I will also talk about selling websites. Why do I invest in websites? There are several reasons, but mainly for tax purposes, and because I don’t like cash sitting in my checking account, losing money due to inflation. These investments are not my primary source of income, but are a nice supplement, that pays my mortgage every month! Before we begin, here is a quick overview of my investments, and returns. Income to date is $111,430 with Net Profit of $40,620. Since early 2015, I’ve purchased 19 sites in total, at different times, for different price, and with various monetization methods. However, my number one source of revenue from these sites is Google AdSense, totaling about $73650. I also sold one website for $26335 (after 15% broker’s fee), and Amazon/Affiliate income is about $11000. As mentioned above, I can fairly quickly sell some of my sites, and either reinvest or go to Bahamas or something :). If I sell, I will probably reinvest though. As I said – I don’t like cash sitting idle. Below are the sites that earned me the most, with breakdown by initial cost, AdSense earnings, Amazon & Affiliate income as well as proceed from sale of one of those sites. Note that Site #6 is technically in the red (as of Nov. 1, 2018). However as of this date, I’ve had the site for less than 11 months. At its current earnings of over $550 / months, I will be in the green before the end of 2018. Finally keep in mind, that as time goes on, these sites continue to earn about $2500/month. Therefore depending on when you read this, you should add said amount to the $40K net income. Showing off is great an all, but it’s not all so rosy. I do have websites that are in the red (for real) and will take a very long time to pay for themselves, before I make a penny off of them. Not so profitable investments – why you should be careful! Besides profitable sites, I also had some not so profitable. Some will take me years to earn back what I paid for them. I will include those as well, to show that it’s very much possible to lose the money on your investments. It was my mistake – I did not check Google analytics thoroughly, and while I did see ~90% google organic traffic, it (close to 3500 visits/day) was all coming from a small town in Oregon with population of 2900 people! Somehow these bastards scammed google organic traffic! Finally there are 4 sites that are either too new, or have paid for themselves, but aren’t making much money any more, and are not interesting to include here. It is extremely difficult and time-consuming to find the “winners” or sites that will recoup their initial investment and then provide passive income for you. Notice I never say DOMAINS anywhere, because I don’t believe domain investment is profitable. Truth is – most sites on Flippa are either junk or scams, or are about to crash and burn. Picking good sites is sort of art, a lot of research, traffic and income verification, and (once again) risk that you will never get your money back. I also believe that majority (as in over 51%) of all buyers on flippa never recovered their initial costs. Why? They are doing it wrong: falling for outright scams, overpaying with insane valuations, not verifying income & traffic, as well as losing traffic on their sites due to Google algorithm changes. I mean come on – if you don’t know how to deploy a site backup via FTP or cPanel, you have no business buying websites. However these technical issues are easy to figure out/learn, and everyone considering a website purchase, should learn these skill long before placing their firs bid! Here I will try to outline how (I think) to do it right. However, even for me, not all site are profitable, and some may never pay for themselves. I need to be more strict with my buys. Let me introduce a concept of “website graveyard” which is how I would describe what I do :). I buy websites with sole intention to NOT work on SEO, Content Marketing, social, etc. My goal is to not do ANY work or do as little as possible after the initial sale and setup. I always look for sites with that have high google organic traffic. This gives me enough time to get my money back, before site goes into “graveyard” or loses most of its traffic. Low traffic sites will go into abyss long before I recoup what I pay for it. Also high traffic sites, means that I can do some experiments with ads, and if despite my expectations, traffic grows, I would be benefiting two ways – from higher RPM and from higher visitor counts! My strategy is to find site that are under-monetized. You will see this term on flippa a lot – while for most sellers it’s just a cliche, where they tell you to put more ads on the site – like besides AdSense, also have Content.ad and Amazon ads, etc. This is WRONG! I strongly believe that most site are poorly optimized for earnings. They don’t need MORE ADS. If anything, they need fewer ads, which are placed in correct spots, and are of the correct size/color/type. 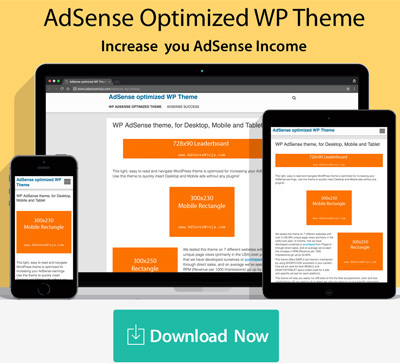 People either use free AdSense plugins (that are made by WP developers with no optimization skills or knowledges), or simply use google’s auto ads which earn 40-60% less than properly placed manual ads. I see this as an opportunity to buy a money-maker with a low valuation (25-30x of low monthly income), based on low site earnings! Once I buy the site, I remove all ads, plugins, etc, and install my AdSense plugin, which usually improves earnings by 60-140% and shortens my payback period to 9-18 months! Once I set everything up, I just move one to my daily tasks, or look for another investment. Mindset:Always look for reasons NOT TO BUY a particular site. Don’t get excited, counting how much money you will be making! If you miss something, there will always be other sites/sellers. But if you dump $10K or $20K on a site and it never pays for itself, you will have such a bad taste, that you will likely never want to buy another one again. Once I find something, I contact seller, asking for access to Google Analytics. If seller refuses (some do), I insist that I only buy sites if I can see the analytics, and refer them to see my buyer ratings/reviews to show that I’m a serious buyer. Without Google Analytics (or other trusted traffic verification) I never buy a site! Once I get access to analytics, I look at Acquisitions report (All Sources) to confirm that traffic comes from google, and not some face referral or paid social media sources. I then check Geo locations of site visitors, to confirm that 90% of traffic does not come from some small town in Oregon, with population that is lower than site’s daily visitors (I mention this, because that is exactly how I got scammed). I also check All Pages report, to see that there isn’t one single page getting 80-90% of all traffic. If that’s the case, I become very worried. After making sure that traffic is “good”, I move on to rankings and links, which I use SemRush for. Next, I check the earnings. Again, I prefer AdSense sites, and I ask for either video confirmation of earnings, or via Skype, or at least screenshots of Site Report. This is important, because seller may have multiple sites under same AdSense account, and if earnings are not attributed to the site in question, it’s likely a scam! Site Report shows ALL revenue from a particular website. Don’t rush! If auction is about to end, and you haven’t checked everything, don’t make irrational decisions. Just let it go. Always verify everything before you place an offer. Once earnings are confirmed, I move on to price negotiation. If something doesn’t add up, or price is too low, there is a good chance of scam or that traffic is about to crash, or site has been banned from AdSense or something else. However, I did have some deals where I got an insanely low valuation, and everything was just fine. These things do happen, but not to often. NEVER BID: First of all – I never place bids in an auction! It’s just stupid to do so – you are bidding against yourself! By bidding, you attract more potential buyers, who will raise the price, and you end up paying more, or they will just buy it, and you miss on a good opportunity. You also fall into a trap of “I’m gonna miss this, if I don’t bid more”. You lose mental control over yourself and start doing irrational things. On top of that, if you don’t understand how Flippa auction bidding works, you may end up paying much more than you wanted to, if you max price is set too high, and some idiot tries to outbid you. Always negotiate Buy It Now price: I always ask seller, what would be an acceptable BIN (Buy It Now) price for them. This can go several ways. Some will directly tell you, while others will say “I’m not ready to discuss BIN” or “what’s your offer”, etc. If that’s the case, I either give them a high enough low ball offer, or something 10-20% lower than I’m willing to pay, and work my way up to where we can agree. After you do this enough times, you will learn what works and what doesn’t. However, some sellers are very inflexible, and if so, I just move on. Sometimes, if auction/listing already has a BIN price and it is acceptable to me, I just do BIN without negotiation, assuming site has already passed all my checks. Most websites are priced based on valuation or a multiple of its monthly earnings. There is no rule, so you have to create your own. For me, I try to come in at 30x or less for an AdSense site, and 20x or less for an Amazon affiliate site. Why such a huge difference? It’s easy. With AdSense, I know I can increase earnings (measured in RPM or revenue per 1000 page views) by at least 50% whereas Amazon I cannot. Nature of amazon affiliate sites is completely different – you gotta convince the visitor to BUY something, and this is too much work for me, where as placing ads in the “correct” spots is much easier, and it costs nothing for a visitor to click on an ad. Bottom line – to increase Amazon income, you will need to increase traffic, which is too much work for me. At the same time, to increase AdSense income, all I need to do, is remove old ads, install my AdSense plugin, and automatically place the ads where I know they will get clicked. If some page on a site get disproportional share of traffic, I will usually run few placement experiments, to find optimal ad combination – this I can easily do with my plugin. My total time spent on ad placement on new sites is about 1 hour, including creation of new ad units, tracking channels, etc. Back to valuations – I sometimes will pay an “insane 35-40x” for a site, if I think it’s traffic is very good, and earnings are very low, but in most cases I’m below my 30x benchmark. Word of caution on valuations: In recent 12-18 months, there has been a significant shortage of quality AdSense sites, and buyers have been paying 50x, 70x, ever over 100x multiples. Well guess what: either I’m stupid and don’t understand anything, OR these folks never make any money from their site OR they have to put in so much work after the sale that it becomes completely not worth it. That’s how long it would take you to just get your money back, assuming that traffic and income stay the same. However traffic and income never stay the same. Unless you are putting in some real work, your traffic will likely fall by 50% within first couple of years! This usually means that income falls by 50% or more … I hope you see the point. How much should you pay for your first website on Flippa? Only invest money that you can afford to lose! Never invest borrowed money. And for a peace of mind, consider that you already lost your investment – it will make you sleep better at night :). If this is your first/second/third time, you shouldn’t invest more than $1000 per site. This is because most likely there will be hiccups, issues, and you may even buy a bad site. You minimize your risk, and learn invaluable lessons in the process. Don’t buy starter sites thinking that you will grow them. This is not the point of investment. Starter site = work. Investment = putting up the money to avoid work. It’s easier to start your own site, than deal with headaches of buying and transferring a starter site. On the upper limit, I to this day feel uncomfortable spending more than $10K on a site. However, i try to stay away from sites under $3K. They just don’t have the income potential and take too much time. For me, sweet spot is $5K-8K. For very beginners, a $500 may be ok, but it usually means low traffic, which means low-income potential. Basically your first couple of deals will be a learning experience – don’t expect to make a killing on them. Ok, let’s say you found a gem and negotiated a good price. Now it’s time to “show me the money”. I always try to take possession of my new website as soon as I can, so i make all payments promptly. Also, you cannot begin transfer (usually) until funds are in escrow. Flippa has 3 payment options: Escrow.com, Flippa Escrow and PayPal. I always prefer Flippa Escrow, because it removes unnecessary extra steps that come with Escrow.com. Also, you save on escrow fees. PayPal you just shouldn’t use! There are typically two ways to send in your payment: Credit Card and Bank Wire Transfer. Since I’m in US, I don’t have to deal with SWIFT, and my wire transfers usually go through within 24 hours. Credit Card payment comes with 3% fee on top of purchase price, while Wire usually costs $40 in US. So I look at sale price, and if my credit card fee is less than $50 I usually go that route. Especially that I get some cash back from my CITI visa card. Unfortunately I cannot pay with AMEX – otherwise I would have 2% cash-back, and would use it every time. After you chose your preferred transfer option, send the money as soon as you can. This will avoid the seller getting nervous and doing stupid things, and will show good will and readiness on your part. Once the money is in escrow, begin transfer of assets (details below). DO NOT TRANSFER DOMAIN until you have the hosting and all site content setup on your end. Before the you transfer the domain, you should have your hosting setup, and ready to go. I use and recommend SiteGround – it’s not super cheap, but very fast, and has great support. You should also have an account with GoDaddy (most domains are with godaddy for some reason), where domain push from one account to another is very fast, and rather simple. I assume that your new site is WordPress based, as are 90% of sites sold on flippa. Ask seller to provide you complete backup of all files and database export. You can then simply upload the zip with content to your cPanel, unpack it, create new DB on your hosting, import BB export (SQL file) and connect your site to the new DB, by changing wp-config.php file with your new DB name/user and password. On SiteGround, use “localhost” as DB server address. There are a lot of steps to this, but once you do it 1-2 times, it becomes very easy. I will make a video guide on how to do this. Next, in your cPanel, add the domain of your new site (not transfer domain, but rather tell your hosting that said domain will reside there). Then use HOSTS.cx to preview your site, by typing in domain name AND your hosting’s IP address. This is how you make sure that everything works, before transferring domain, and messing with Name Servers / DNS. Finally, once you confirmed that your site works on your hosting, push/transfer domain. Ask the seller to NOT modify the Name Servers / DNS. Do it yourself, once domain is in your possession. If you mess this part, your site may be offline for 24-48 hours, and you will have a lot of meaningless worries. After domain has been transferred to you, change DNS to SiteGround’s name servers OR use NOIP.com which resolves Name Server to Hosting’s IP address (this is what I and Tim Ferris use). It allows you to avoid waiting 24-48 hours if your hosting is down. Pointing domain to another hosing provider takes just 1 minute with NOIP. Now your site is up and running on your own server! It’s time to go into WP dashboard, change admin email / password, and replace all ads with your own adsense / amazon / etc. 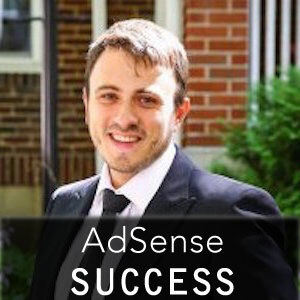 If you are using our AdSense Ninja plugin, this guide with help you set up ads fast. Also in your dashboard, you have access to Adsense optimization videos (not available publicly), that will help you improve earning by 50-100% or more! Please tell me how do i contact you directly sir ? Dear AdSense Ninja how i contact personally. and how i am sell website on flippa complete guide me. Selling on flippa is outside the scope of this guide, but basically you need a “good product” to sell, meaning a site with traffic and revenue.